Fizzy Lemonade Nic Salt Juice, from Glas' Basix Salt line, is as delicious as the name implies. With a blend of lemonade, lime soda, sweet pineapple, and a kick of cool menthol, you'll always be refreshed after inhaling this vape juice! 30 mg of harshness coming and going in my Breeze 2. The taste may be good but due to the harshness, I couldn't really tell. I packed it up and tossed it in the bin with all the other nasties. Another wasted $13 in my books. I will not be reordering and do not recommend if you are looking for a pleasant non-harsh vape. Absolutely one of the best nic salt Vapes out there. Lemon flavor with just the right amount of sweet. Very much like a lemon drop flavor. I will be buying more of this for sure. This is the closest you will ever get to vaping Mt.Dew Baha Blast..
Deliciously brisk out of every salt device I own. Lots of flavor, great combo with the menthol and lemonade. Pretty good! 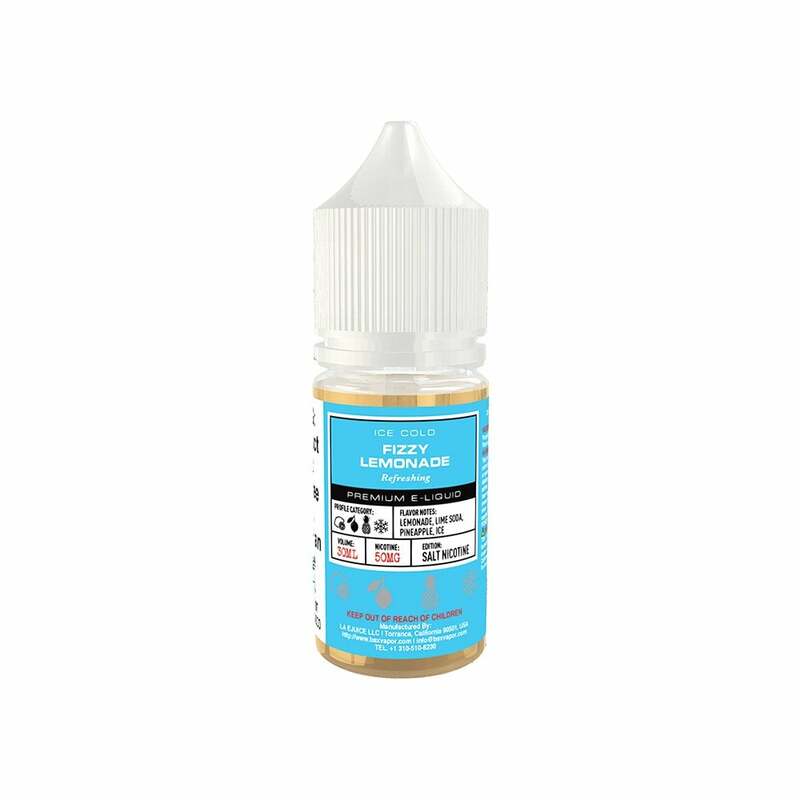 You get a lot of the menthol on the inhale and really taste the lemon and pineapple on the exhale. Great throat hit. The flavor is honestly a bit much at times but maybe I'm just not used to that much at once! Relatively new to vaping, recently curtailed a 40-year cigarette smoking habit (OK, addiction). Thought I'd prefer the tobacco-ish or spicy flavors over the fruity, but something told me to seek something citrus, specifically lemon. And I found it! This stuff is great, good throat hit, very satisfying taste. I have started to crave it almost as much as I craved that first Winston of the morning. Also makes a good base to add a bit of peppermint, or even mixed fruit. Thanks, Basix, you have helped immensely with the vape-over-smoke crusade! Probably best juice I have ever used. The rest of the basics salts are quite tasty, this one however was pretty awful. Pretty much unvapeable. Really good vape. I mix with the Halo Salts Ultra Menthol 50/50 and I've discovered my go-to vape. Great flavor that makes me keep returning back to it as a go to favorite. Very tasty and fun. Totally recommended. Best nic salt I've ever had and I've tried LOTS! Buy it, it's so delicious!